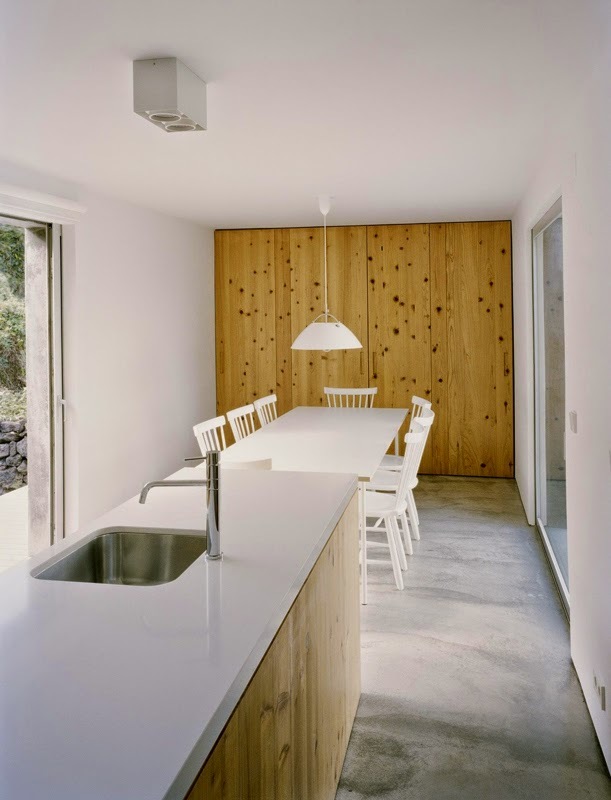 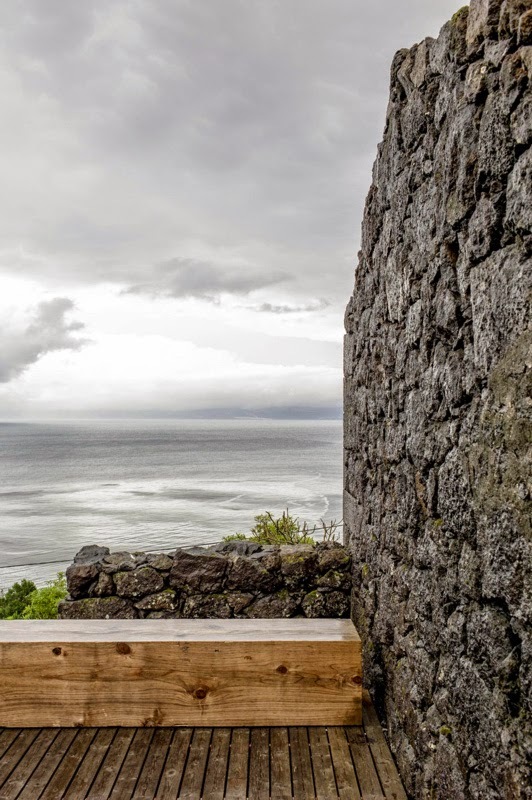 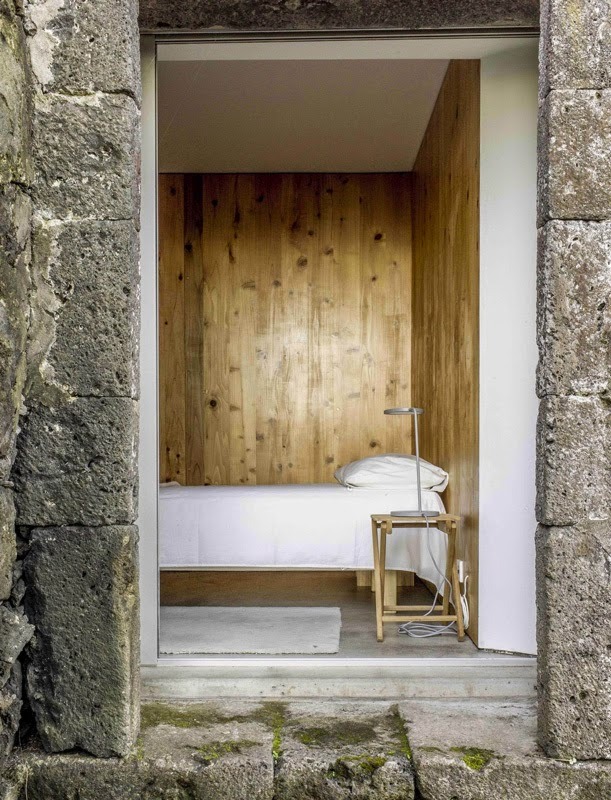 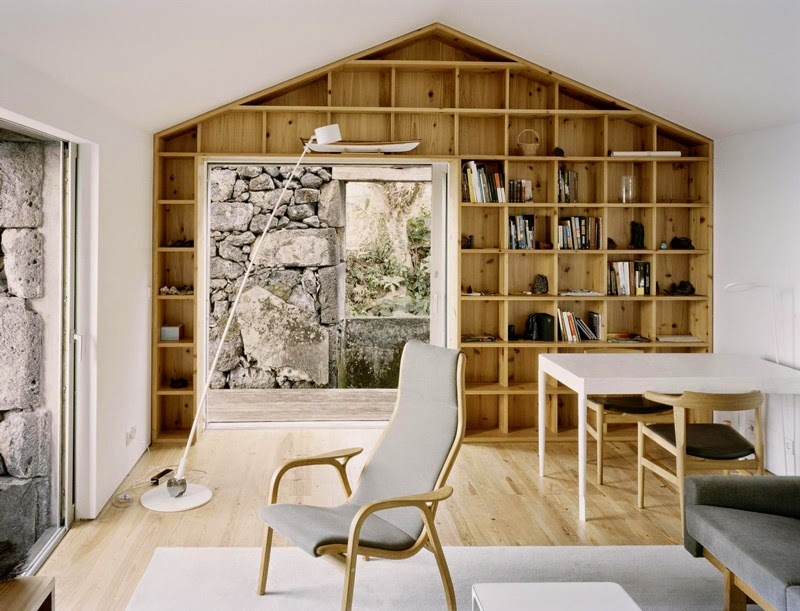 Setúbal based SAMI Arquitectos sensitively redesigned an abandoned barn in Pico Island, Azores, Portugal, bringing a ruin back to life, by converting it into a contemporary holiday house. 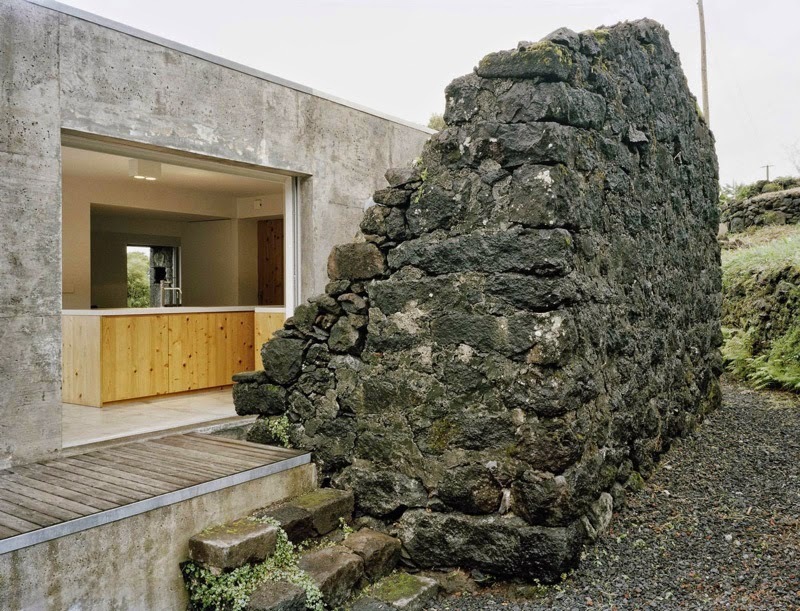 The new concrete structure is enclosed by the old stone walls of the original house, with respect to its character and the building relation to the rich rural landscape. 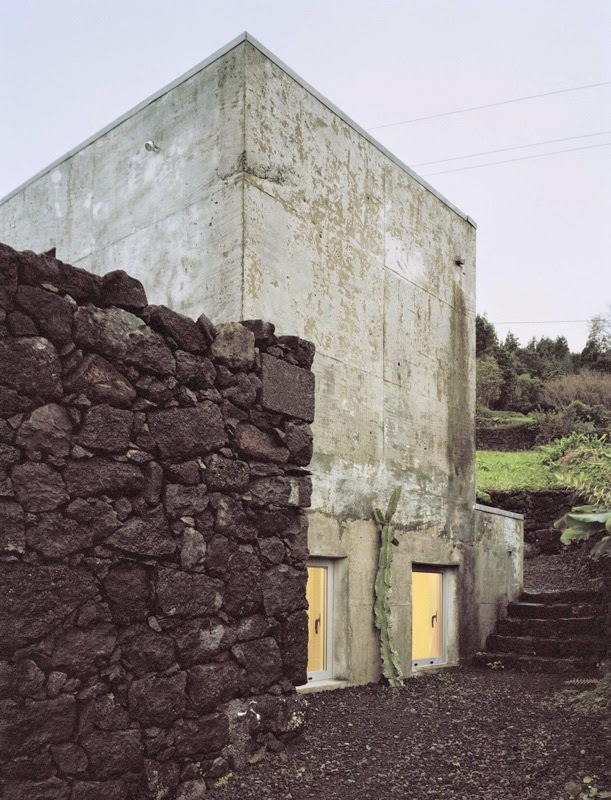 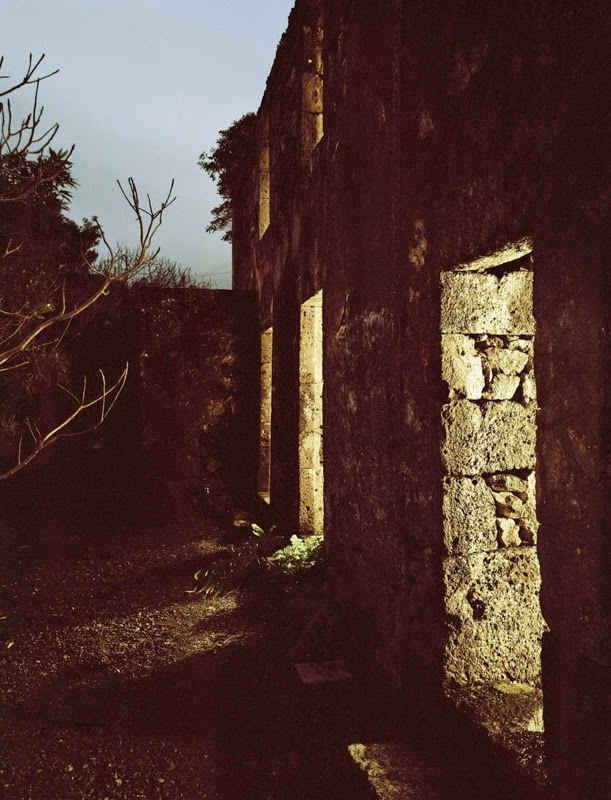 “A ruin was the starting point for the design of a holiday house in the island of Pico. 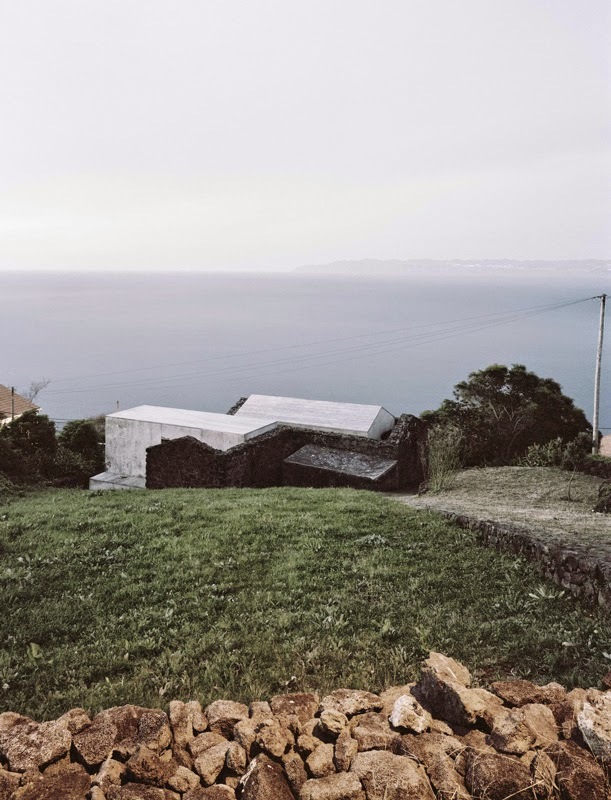 The project came from the will to maintain a ruin and thinking of a house that would value it, a house that could be modelled to it and take advantage at the same time, offering the most diverse and complex possibilities of living than the former typology. 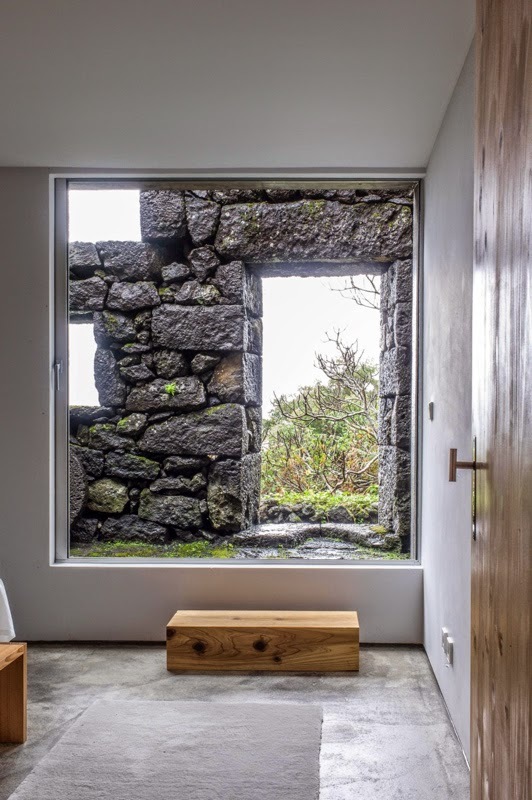 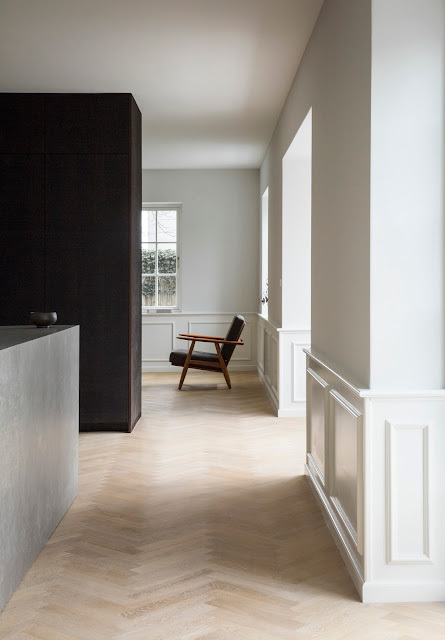 The house, modelled inside the walls of stone, was designed with generous openings, for light to come inside and to contemplation of the landscape. 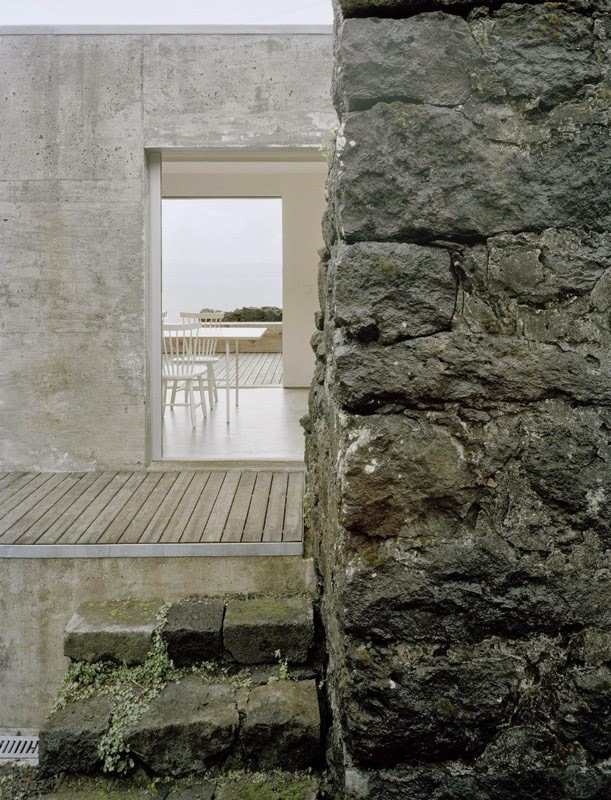 These openings are sometimes lined up, and sometimes not, with the former openings of the ruin, creating new frames and relations with the original limits of the house.